We all have our favorite stores in Walt Disney World such as Mouse Gear in Epcot, the Emporium on Main Street at the Magic Kingdom, or Villains in Vogue at Hollywood Studios. 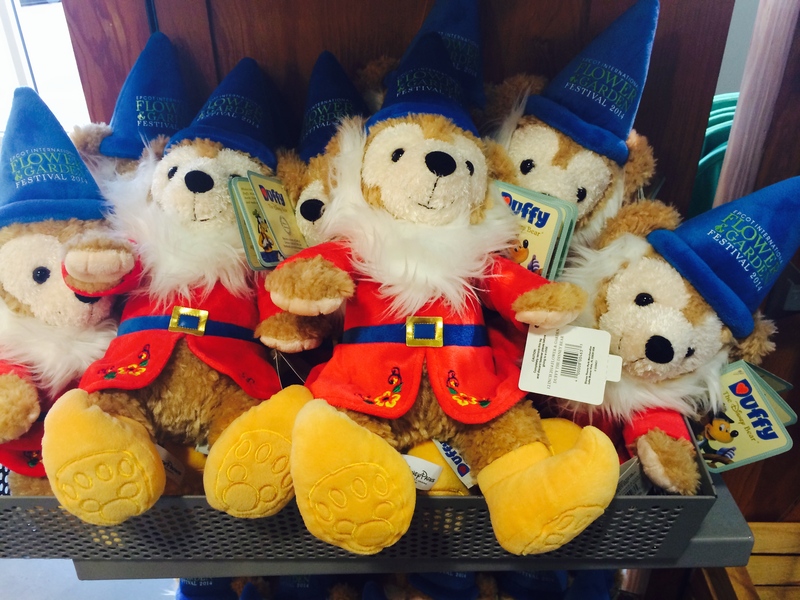 Disney has made gift shops as ubiquitous in theme parks as churros and turkey legs. Most of us have Disney magnets on our refrigerators, coffee mugs in our cabinets, and shirts in our drawers that immediately bring back memories of previous vacations. Not all merchandise gets sold though. 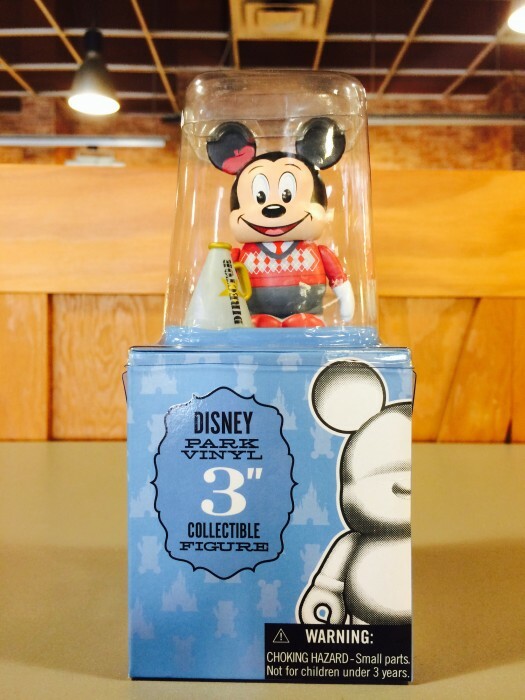 Some of it sits on the shelves long enough to be shipped over to the Disney Outlet Stores in Orlando, and that’s where we come in. 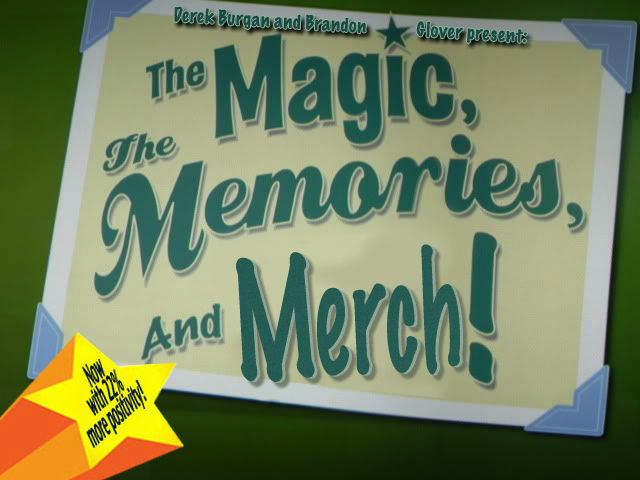 The Magic, The Memores, and Merch! is your monthly guide to these products which never found a home. 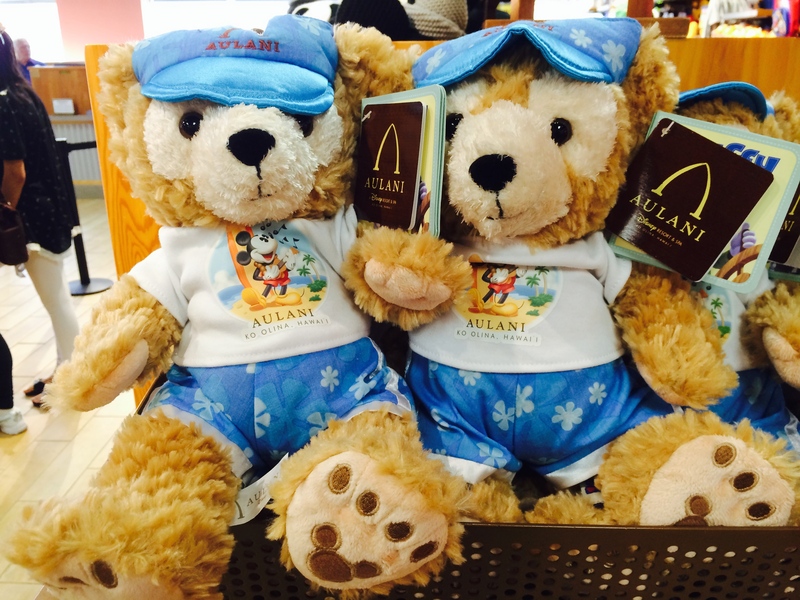 Our first find at the outlet is AULANI DUFFY. 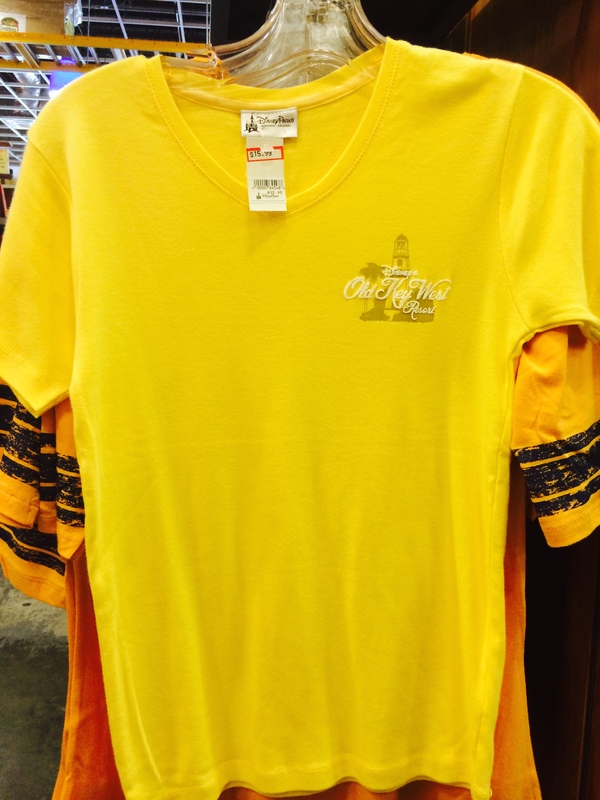 Original priced at $35, these are now $9.99. Turns out that ancient taboo idol that Bobby Brady found wasn’t the worst thing to come out of Hawaii after all. 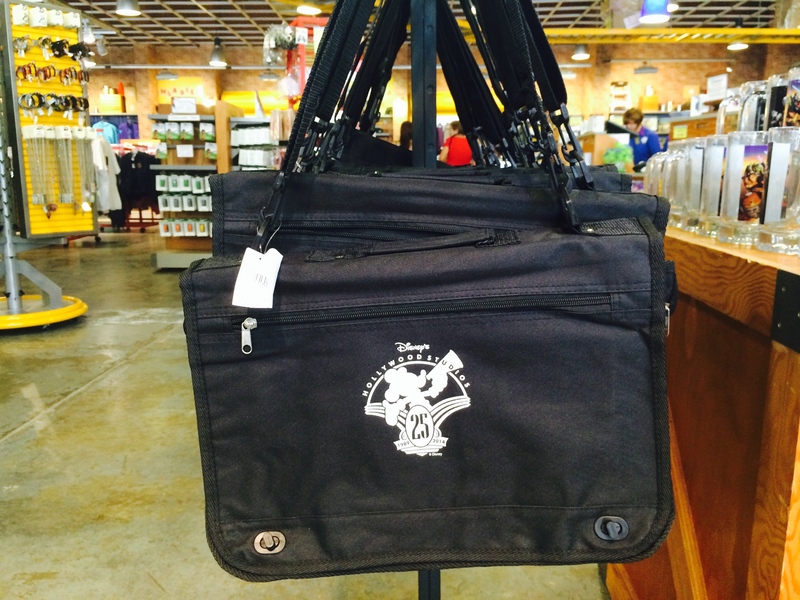 In early May Disney Hollywood Studios celebrated its 25th Anniversary and some of the merchandise for that momentous occasion has made it’s way to the outlets including this messenger bag. Originally $29.95, now $6.99. DHS celebrated it’s 25th anniversary on May 1st while later in the month on the 31st the park celebrated its 6th year anniversary of not building any new rides. 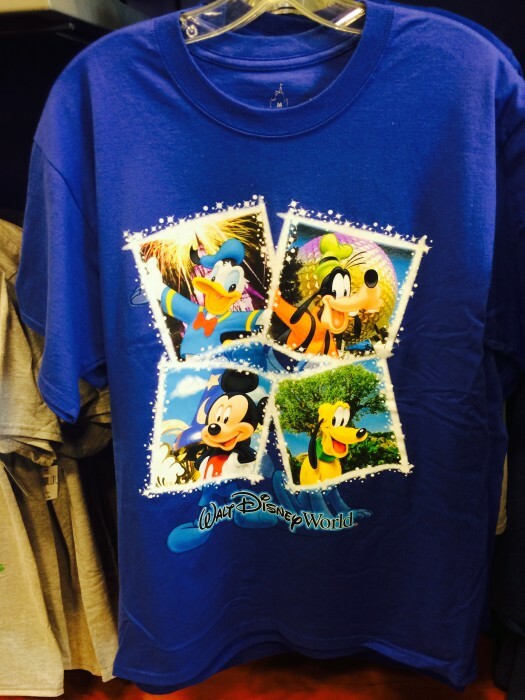 For those who want to cosplay as Matt Hochberg, the host of WDWToday podcast, this DHS 25th anniversary t-shirt was originally $27.95, now $6.99. 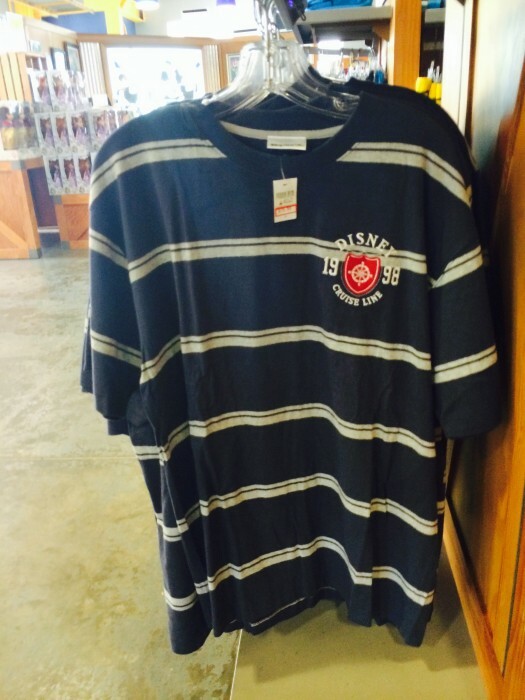 There was also a DHS 25th golf shirt that was originally $39.95 that was marked down to $9.99 but my picture was blurry. I’m guessing because I was laughing so hard when I saw the price. Let’s stick with clothing. 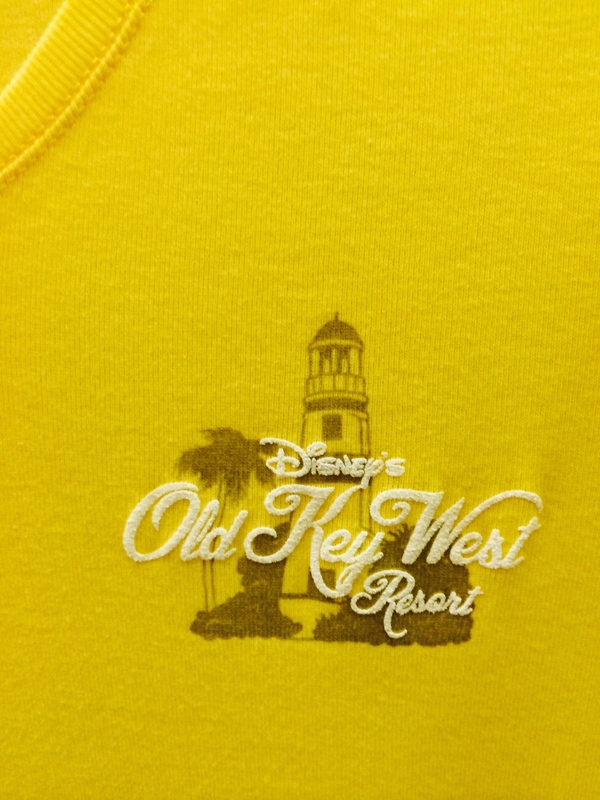 I love resort specific merch and this Old Key West shirt was originally $32.95, now $15.99. Each month is seems a different EPCOT 30th Anniversary shirt shirt goes into the rotation. 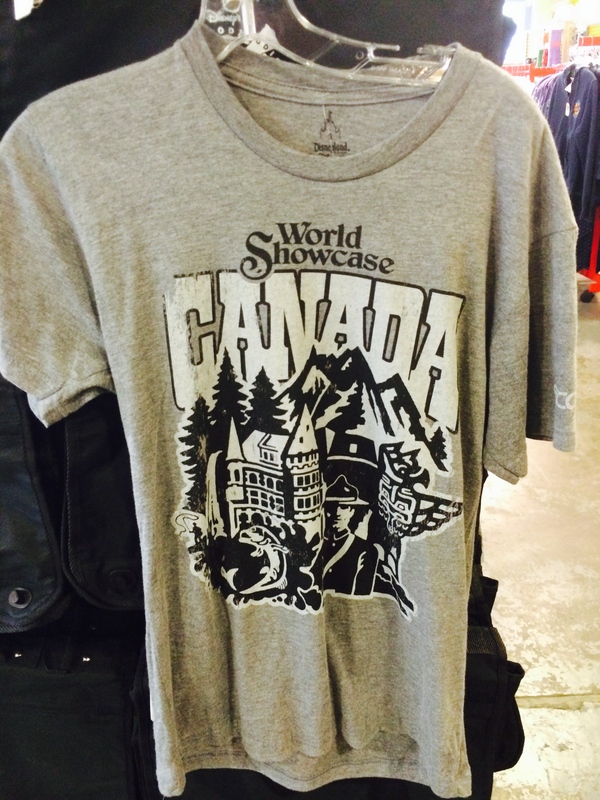 This month it was Canada. We give Cananda a lot of grief over Justin Bieber, but to be fair they also give us Dan Ackroyd, Alex Trebek, Nathan Fillion and Michael J Fox. Wait, I just found out they also gave us Nickleback. Forget everything I said, we need to go to War immediately. This October TouringPlans is going to have a person at every single Disney-operated location in the world. It is part of TouringPlans Everywhere and you may have seen some articles from the likes of Guy Selga (who is going to Tokyo Disneyland) and Brain McNichols (who is going to Disneyland.) I’ll be going to the Disney Outlet Stores and will be working on my screenplay for the sequel to Escape From Tomorrow. 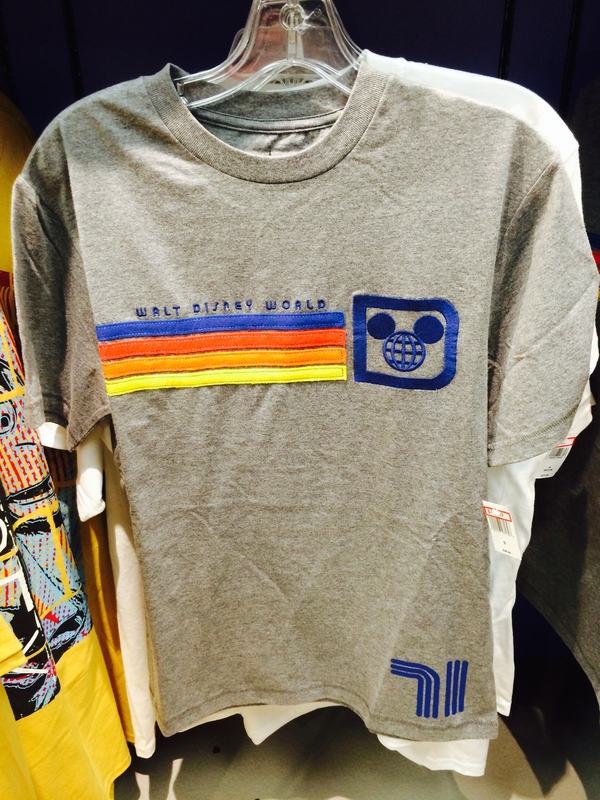 Just kidding, I will be taking my first ever Disney Cruise so this DCL shirt definitely caught my eye. 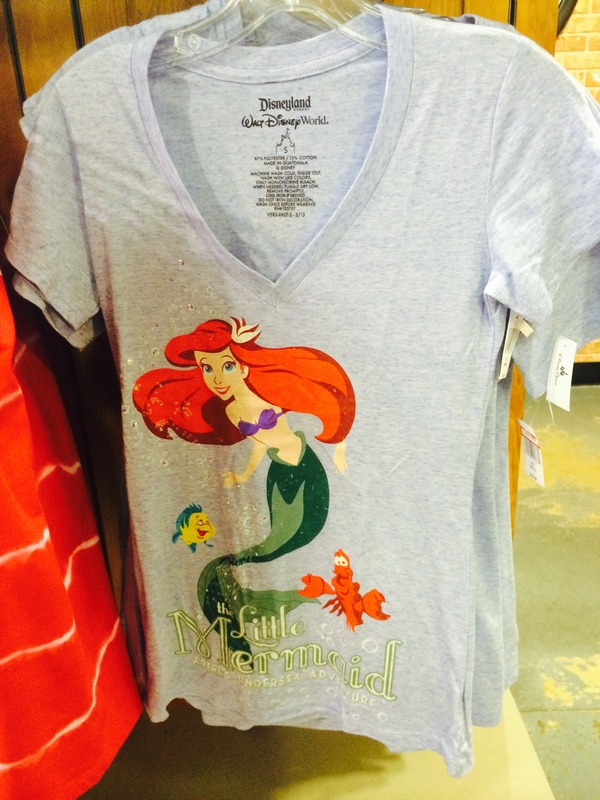 Originally $39.95, now $16.99. The Expedition Everest Challenge took place at Disney’s Animal Kingdom in early May. This shirt was $32.95 then, now it can be yours for $7.99. I promised myself I would not make a Yeti joke. I liked this WDW 71 shirt so much I got one. Originally $36.95, now $14.99. 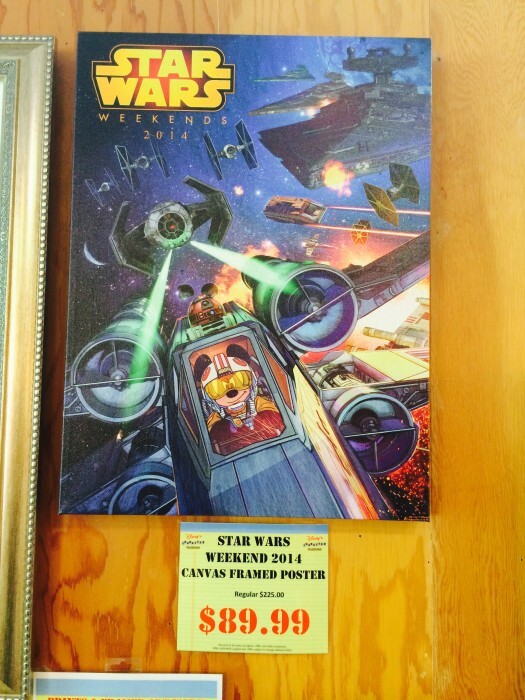 Star Wars Weekends ran from May 16th to June 15th this year and some of the items from Darth’s Maul have started to trickle into the outlets. 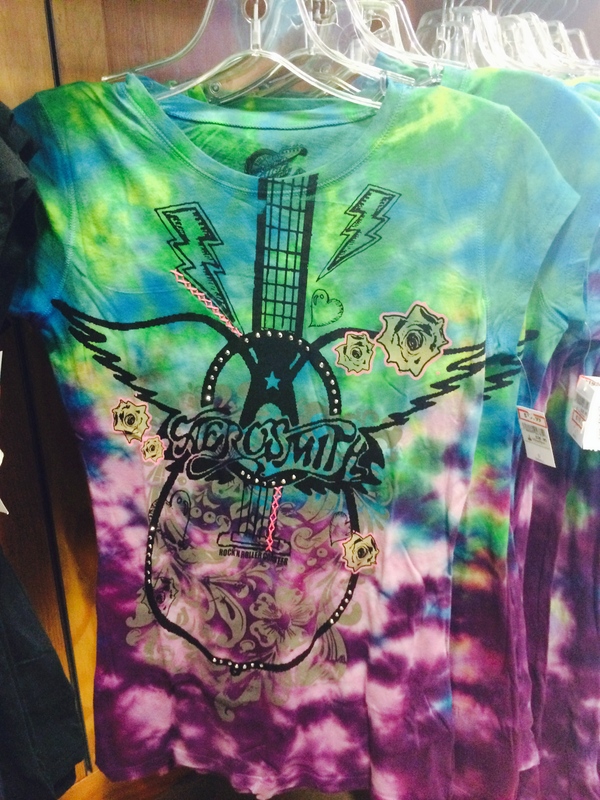 This one was originally $24.95, now $5.99. 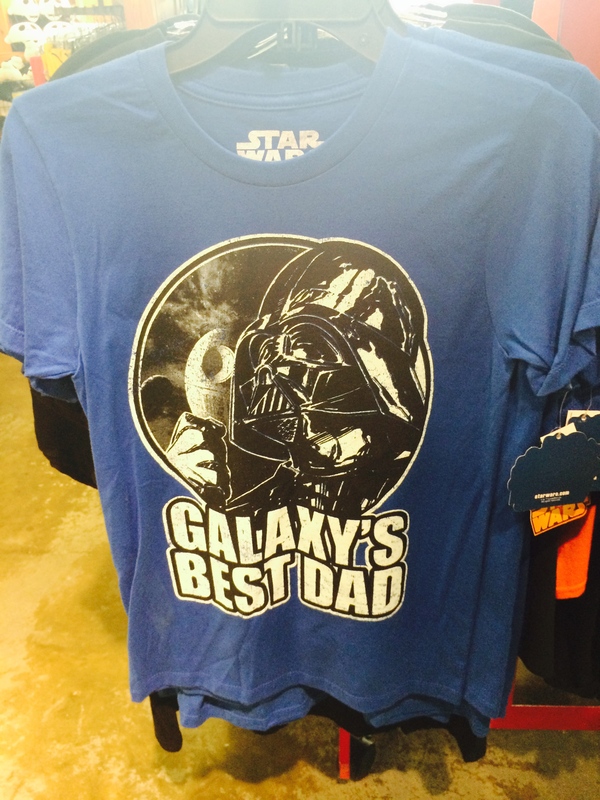 Seeing “Galaxy’s Best Dad” made me think of the classic Seinfeld episodes featuring the Mandelbaums. There were several shirts for the upcoming Star Wars Rebels TV show. 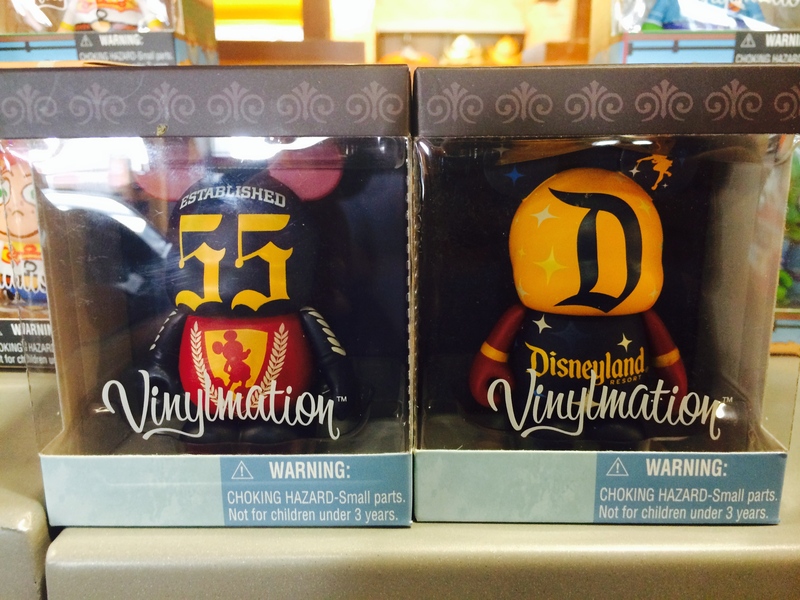 These were also marked down from $24.95 to $5.99. 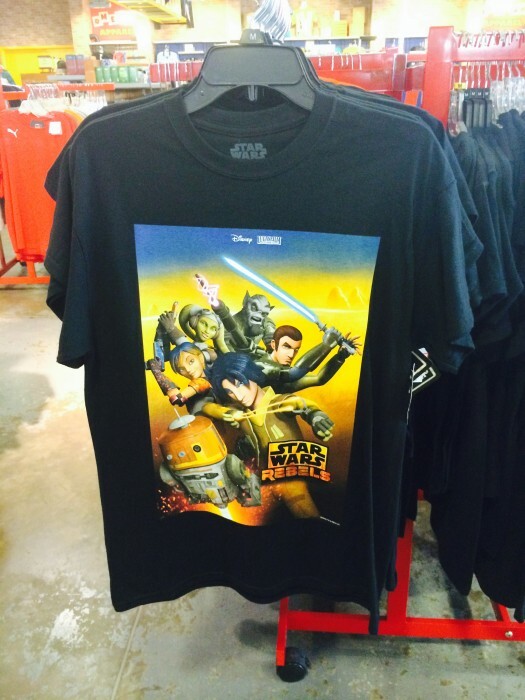 Everyone at San Diego Comic Con who saw the preview for Star Wars Rebels said the show was “great.” Don’t forget these were same ones who told us the Clone Wars show was great too. There were at least four different Star Wars Rebels shirts. I don’t want to say that has anything to do with people’s interest in the upcoming show because Target and other stores had a ton of Frozen merchandise that just sat on the shelves before the movie came out as well. 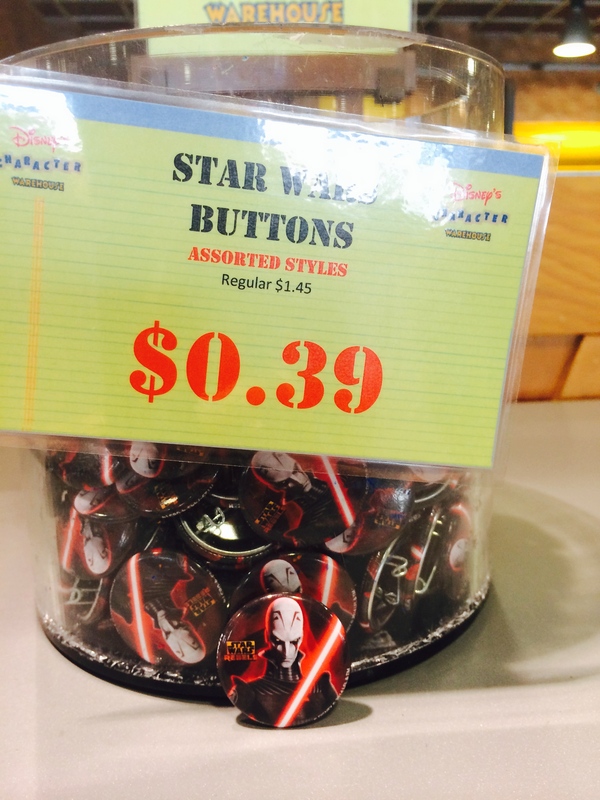 It said “Assorted Styles” but all the buttons featured “The Inquisitor.” There was another bucket of buttons at the check out counter and they also had the same character. 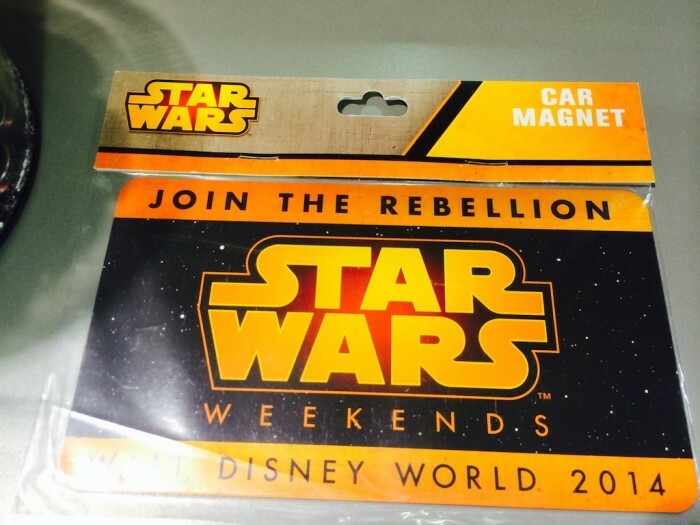 Star Wars Weekends magnets, $3.99 each. If you like that design here is a canvas framed poster of it for $89.99 (was $225.00). 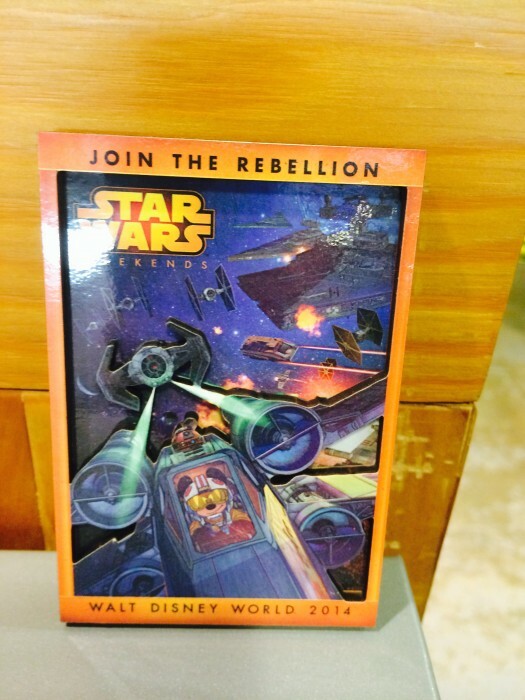 That’s the Star Tours vehicle in the background, right? And if you zoom in close enough you’ll see that one of R2-MK’s “ears” is in the process of being blown off his head. This Star Wars Weekends car magnet was originally $7.95, now $1.99 . Outside of a business, I’ve never seen a magnet on a car. Is this a growing trend? Ready for some nightmare fuel? 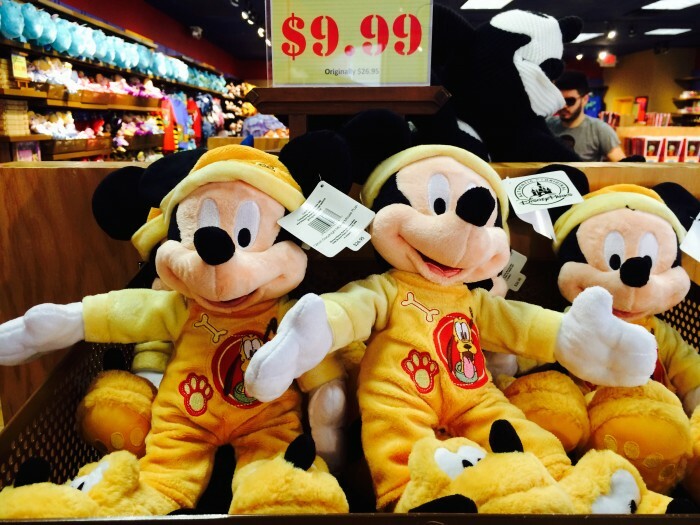 Here’s Mickey dressed up as Pluto also wearing Pluto slippers. Originally $26.95, now $9.99. Can you believe it? 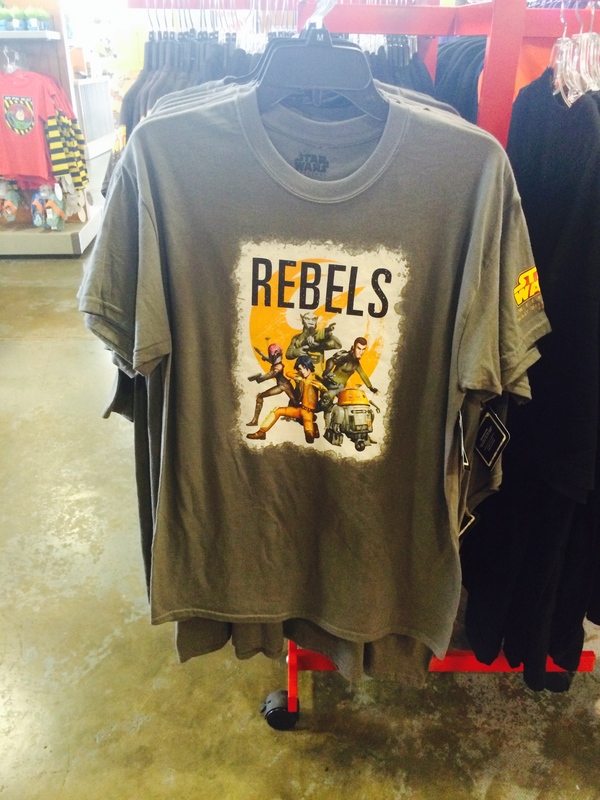 Another Rock n’ Roller Coaster t-shirt. Was $36.95, now $19.99. Zoom in on this shirt. There is a LOT going on. Okay, I can be talked into a Mickey and Minnie in marriage outfits, but BOBBLE HEADS?! Okay, last month we saw the awesome Animal Kingdom shot glasses toothpick holders, and this month a set dedicated to Epcot’s 30th anniversary showed up! 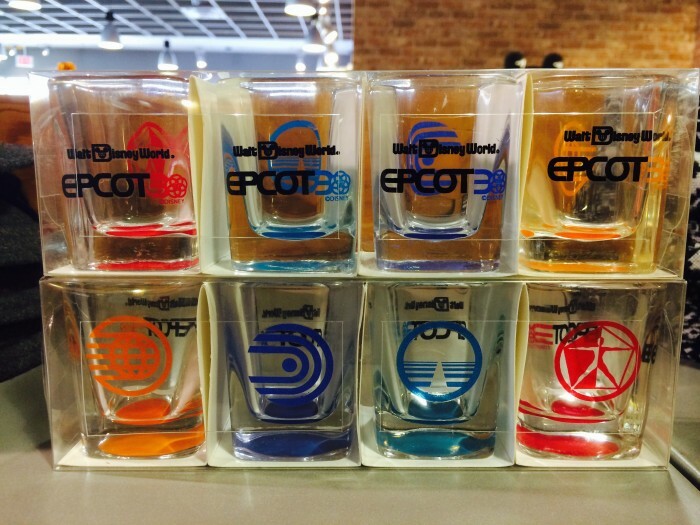 A set of four ($10.99) had the logos for Spaceship Earth, World of Motion, Horizons and The Wonders of Life. 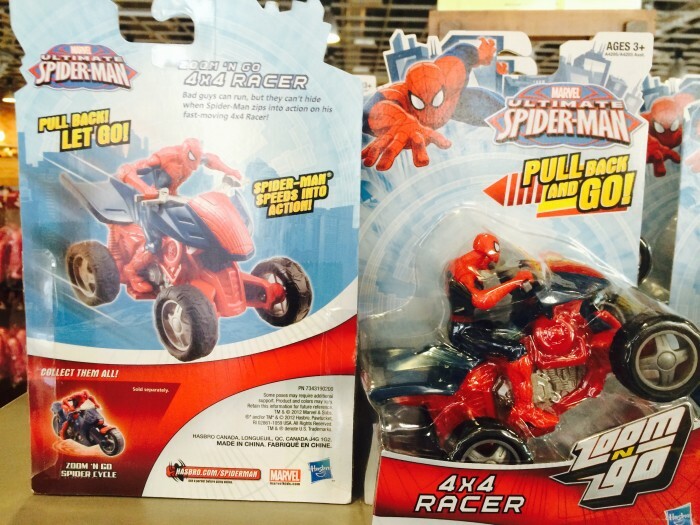 I bought two sets of these. 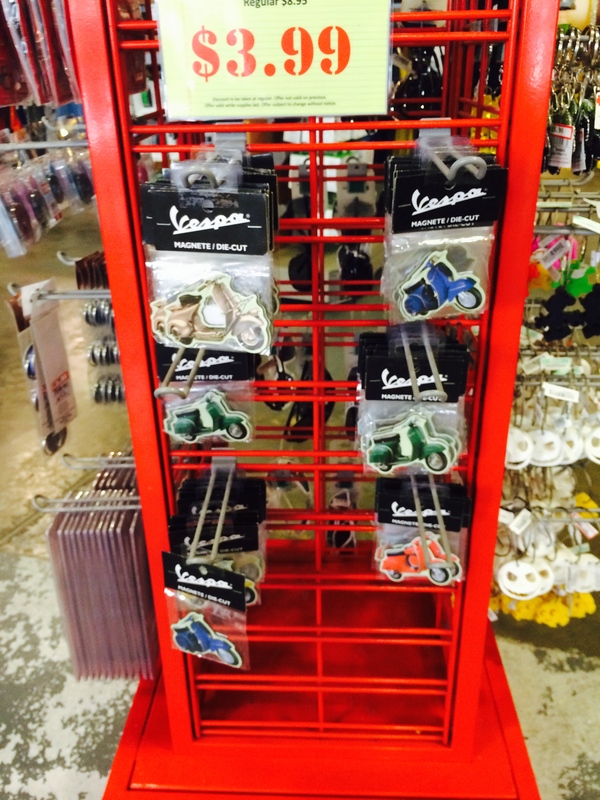 TONS of Vespa scooter related merchandise hit the outlets this month. Any idea why? Pressed pennies are one of my favorite souvenirs but this blew my mind. 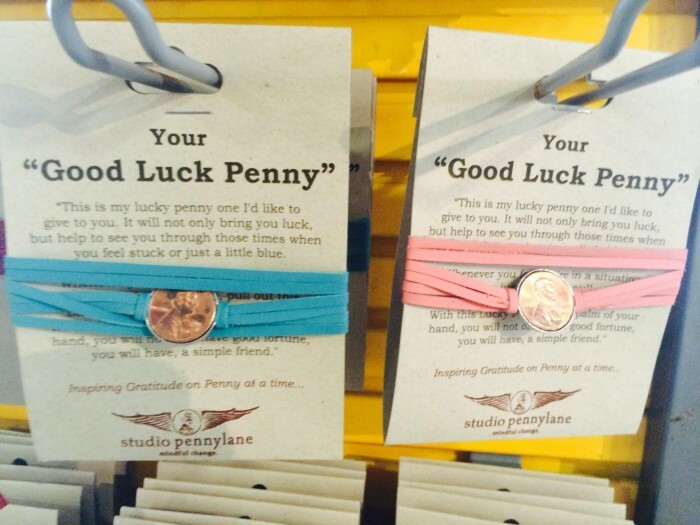 “Good luck pennies” which originally sold for $19.95 and now were $7.99. 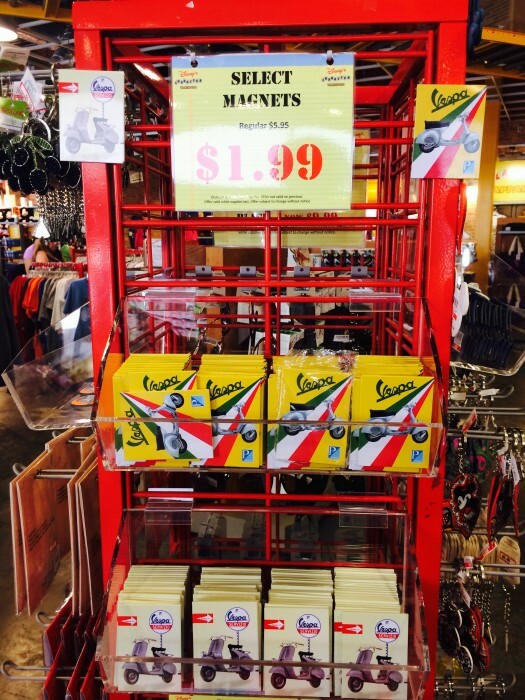 NOW THEY ARE JUST $7.99. I have to find out where these were being sold on property. Had to be at a place where there was alcohol being served nearby. 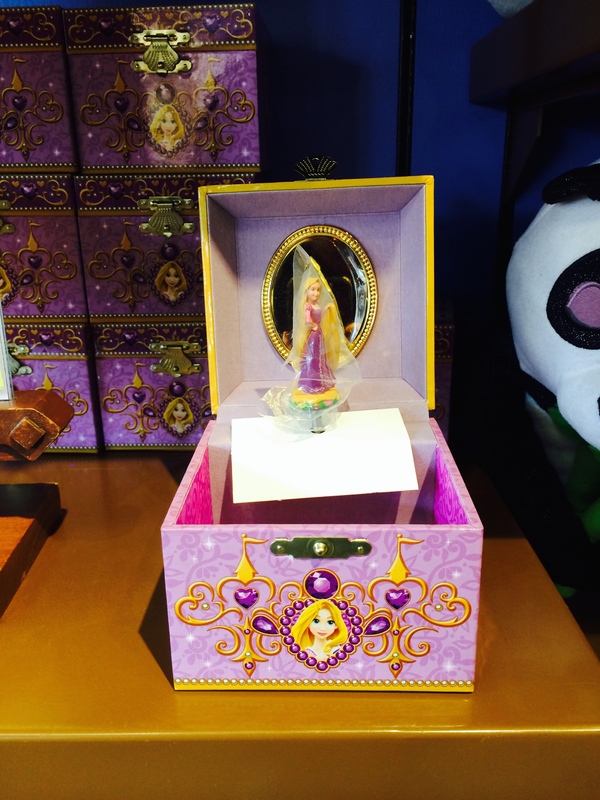 This was a cute Rapunzel Jewelry Box which was originally $18.95 and reduced to $9.99. It plays music and Rapunzel spins around. 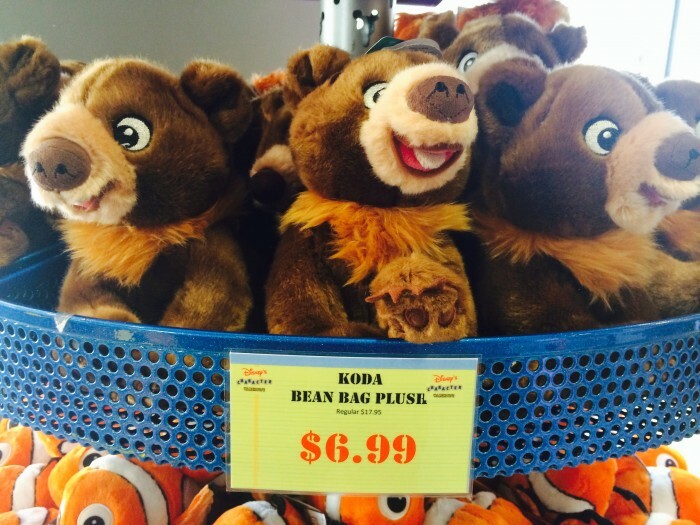 Brother Bear plush. 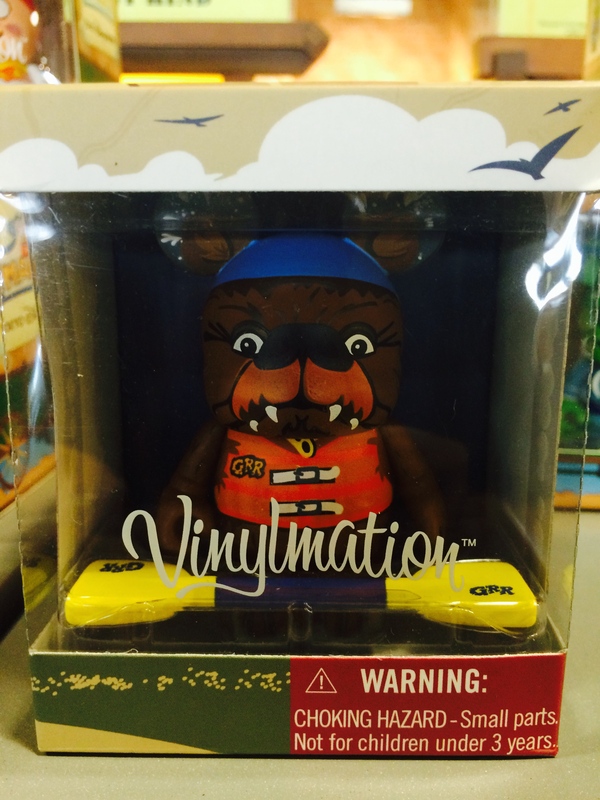 Presuming these were put back out into rotation around the time DisneyNature’s Bears documentary was released on Earth Day. 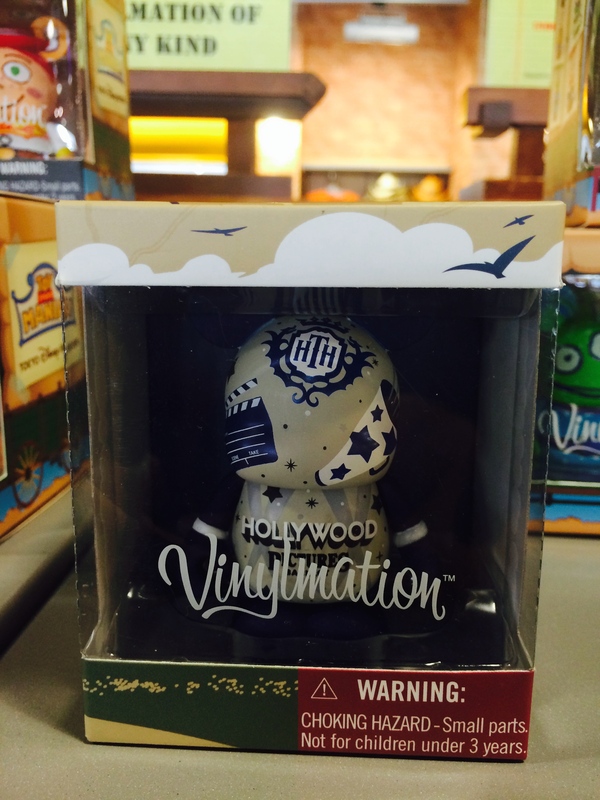 We’re running long so it’s time to head into the section of the store which makes me question every ounce of my sanity, VINYLMATION. First up is this three pack which apparently is representing Country Bear Jamboree. I had to turn the box over to find that out as I had no idea what the heck they are. AND I LOVE THE COUNTRY BEAR JAMBOREE. Take a guess at how much this set cost originally. I’ll give you some time to think as we have a couple other sets to look at. They cost $10.99 now. I still think these are ugly, but at least I figured out who they were. 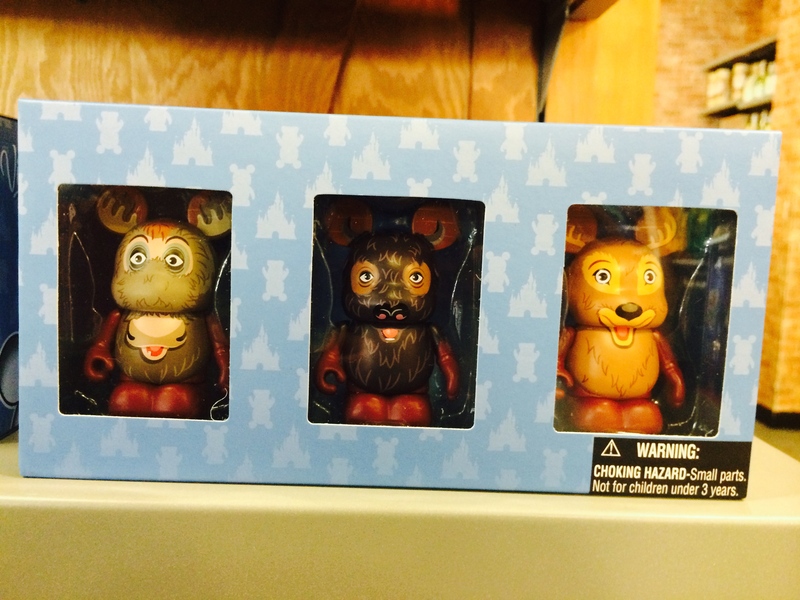 Here’s another set I had to turn the box over to find out what it was. It is, and I quote, “inspired by the atrium mosaic at Disney’s Contemporary Resort.” Original prices? 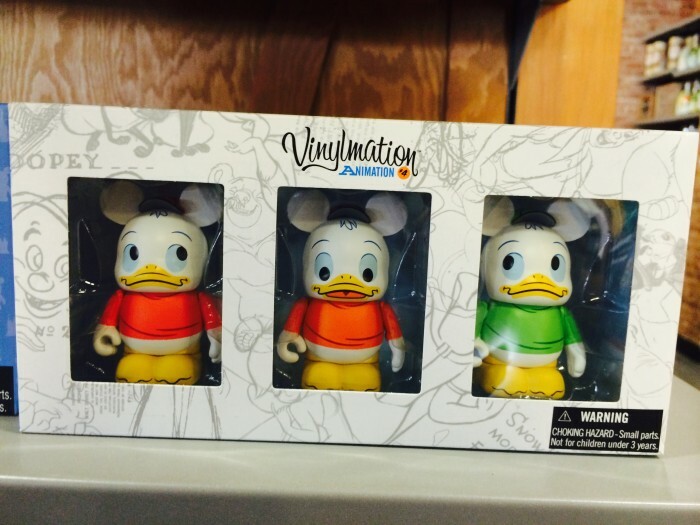 Huey, Dewey, and Louie along with the Country Bear Jamboree set were $44.95 while this Contemporary set was $49.95. Remember that RIDICULOUS Toy Story vinylmation last month where the gimmick was that it was created by a five year old? This month an alien from that set showed up. I’ve said it before, but stop reading this blog for a minute and contemplate all the people who had to sign off of this vinylmation from the concept stage to the artist proofs to the final product and realize that not a single one of them stopped and said HAVE YOU ALL LOST YOUR MINDS?! A whole bunch of Disneyland and Disney California Adventure vinylmations made their way to Florida, including these two celebrating Disneyland’s opening in 1955. 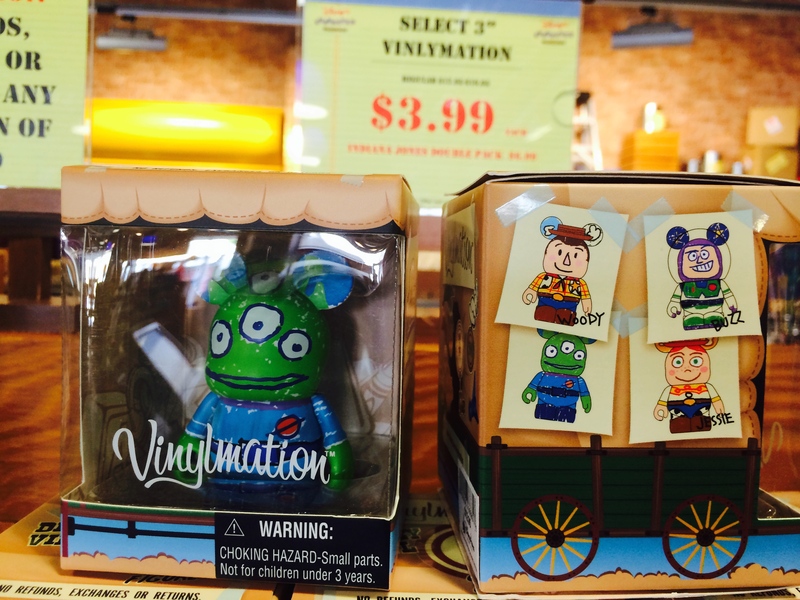 All single vinylmations were $3.99. 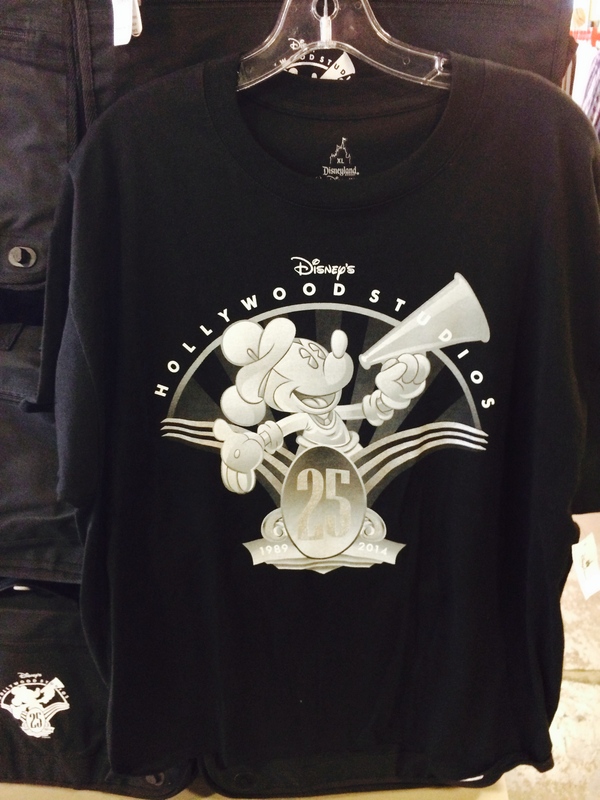 I’m guessing this one is for the Hollywood Land of DCA. Honestly though, who knows? 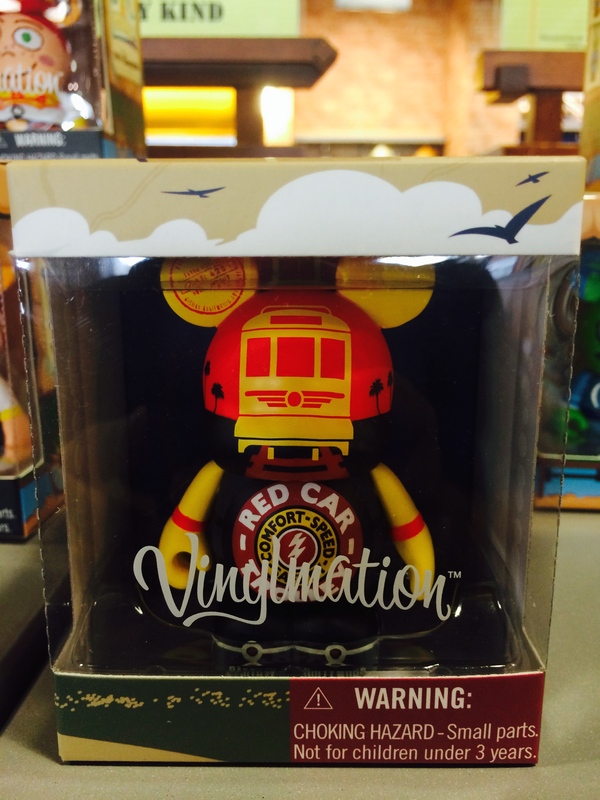 Red Car Trolley. 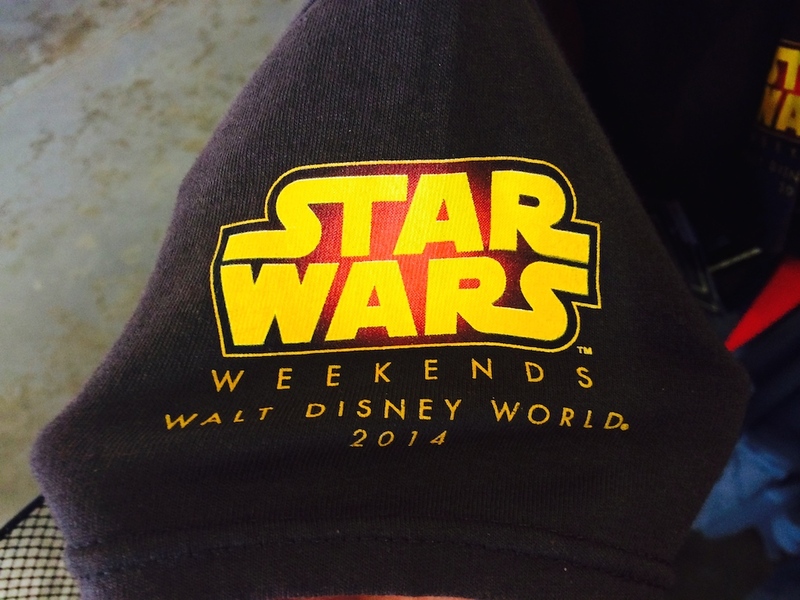 I may get in trouble with the Wig Wags for saying this, but what an awful design. I also bought this Grizzly River Run one. 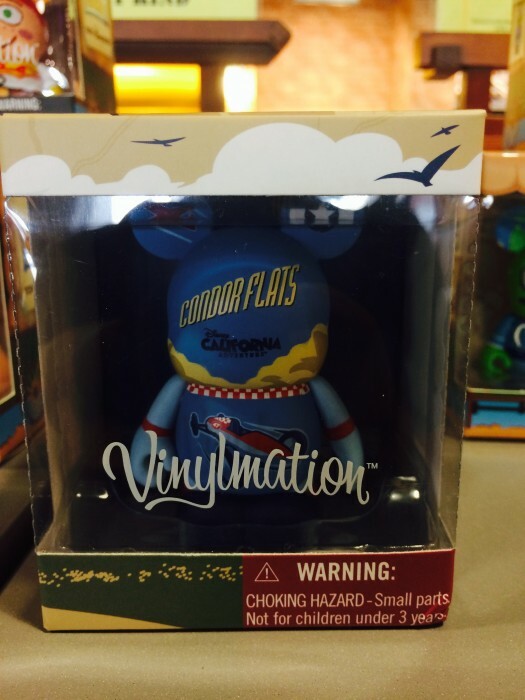 I’m buying vinylmations. It’s time to go before I start buying that overpriced artwork behind the counter. However, one last shot before we go. 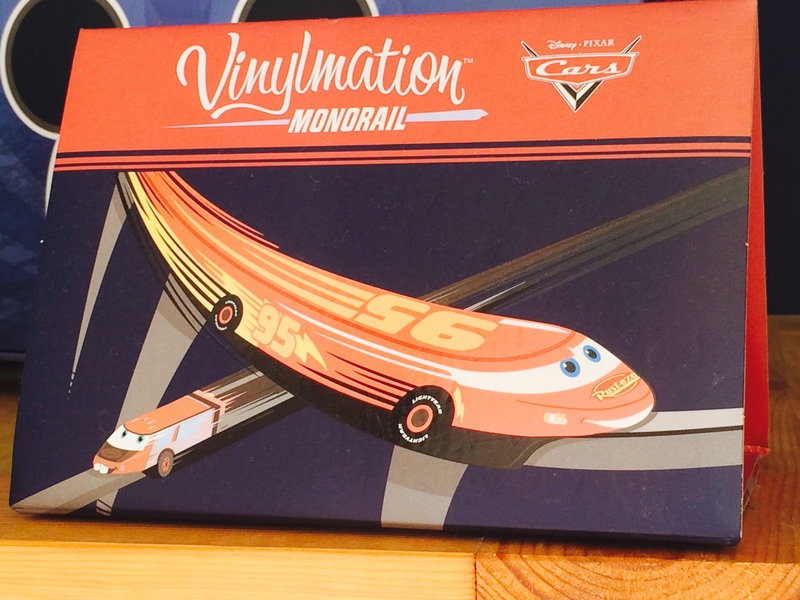 A sign outside the store has Lightning McQueen and Mater themed vinylmation monorails. 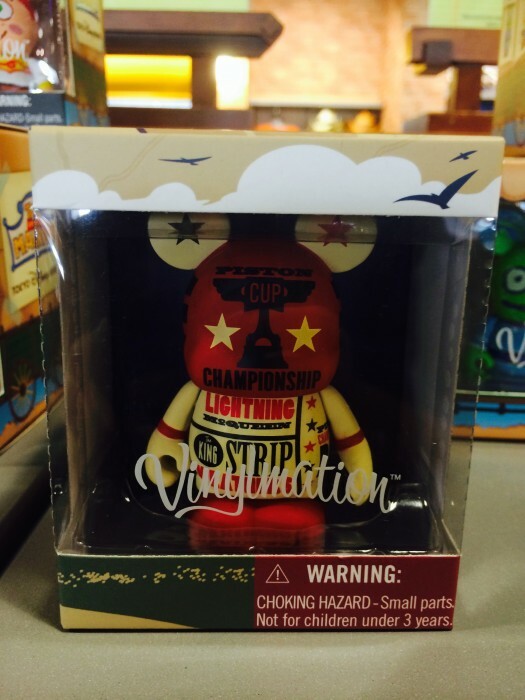 I don’t think this actually exists as product, but I think I want one. HELP!!!!! 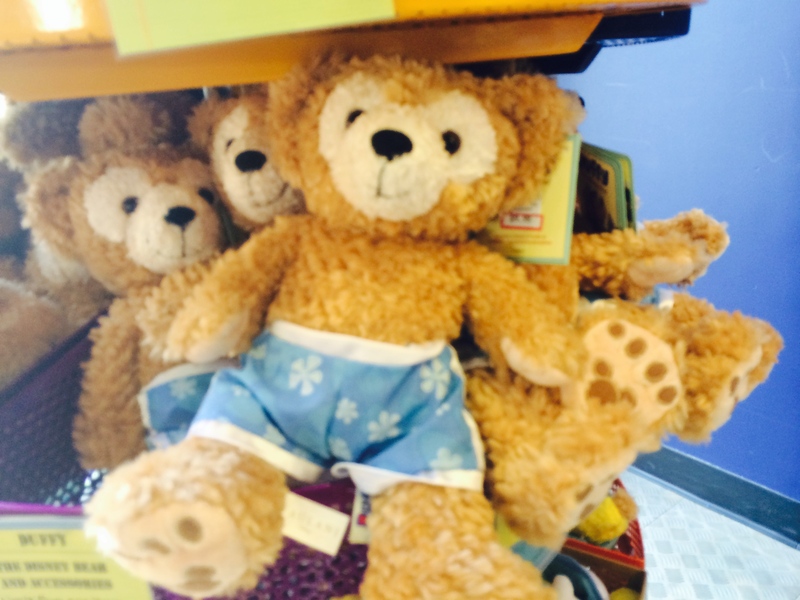 Beach Duffy, completely different than Aulani Duffy. Previous editions of Magic, Memories and Merch: July 2013, August 2013, September 2013, October 2013, November 2013, December 2013, January 2014, February 2014, March 2014, April 2014, May 2014, and June 2014. 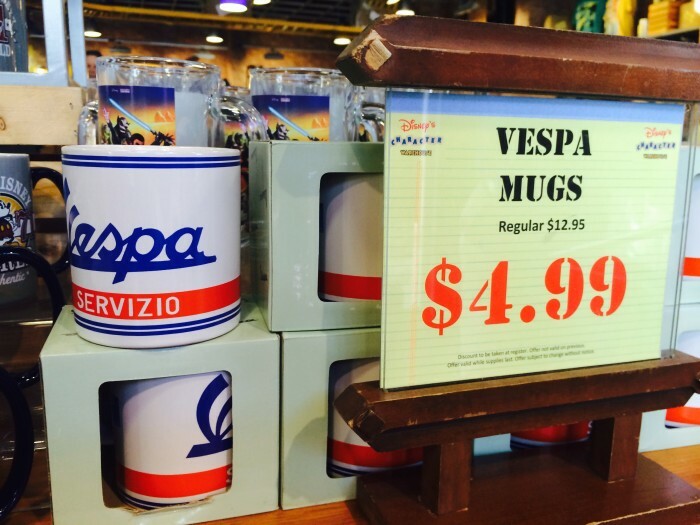 I’m fairly sure the Vespa Items came from the Italy Pavillion at Epcot. I think I saw them last year in the store. 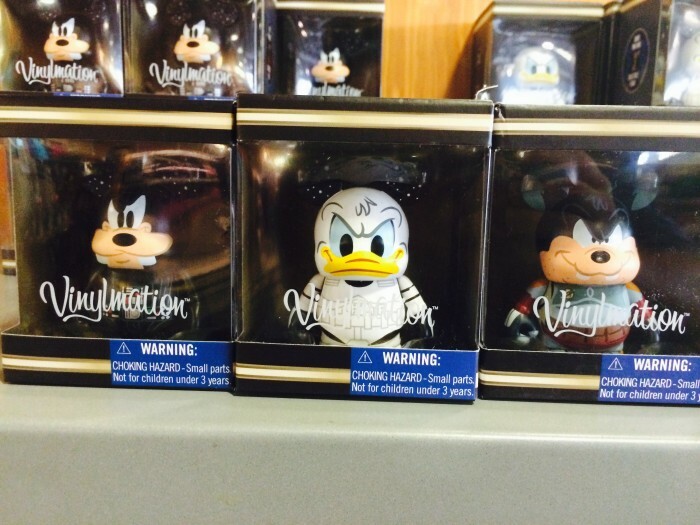 The Lucky Pennies were sold at World of Disney at DTD. You are quite right about the Vespa items from the Italy Pavilion in Epcot, I saw them there in early January this year. The Monorail vinyls were from a couple of years ago. My son actually had 3 of them. I love these posts!!! 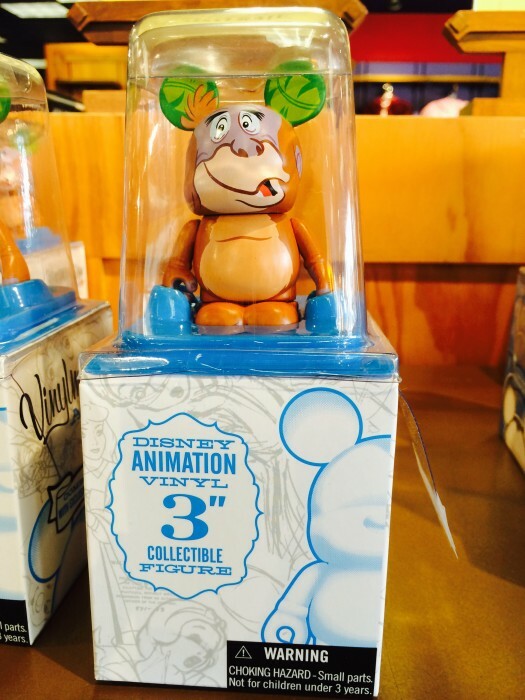 Were there any new muppets merch or figment merch this month at the outlet? None. I will make sure there is always a picture and update when either of those two brands have a new item in the stores. More clever references than an episode of MST3K! But dude, you bought your girlfriend an outlet gift and now she knows you spent even less on her mark-down wrong park shirt than on trinkets you had to have, even as you make fun of them. 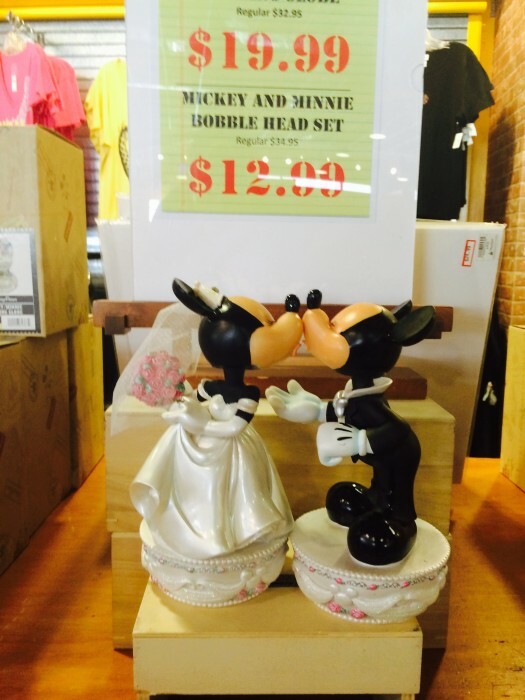 :-/ For the sake of your relationship, she’d better be going on a Disney cruise soon. 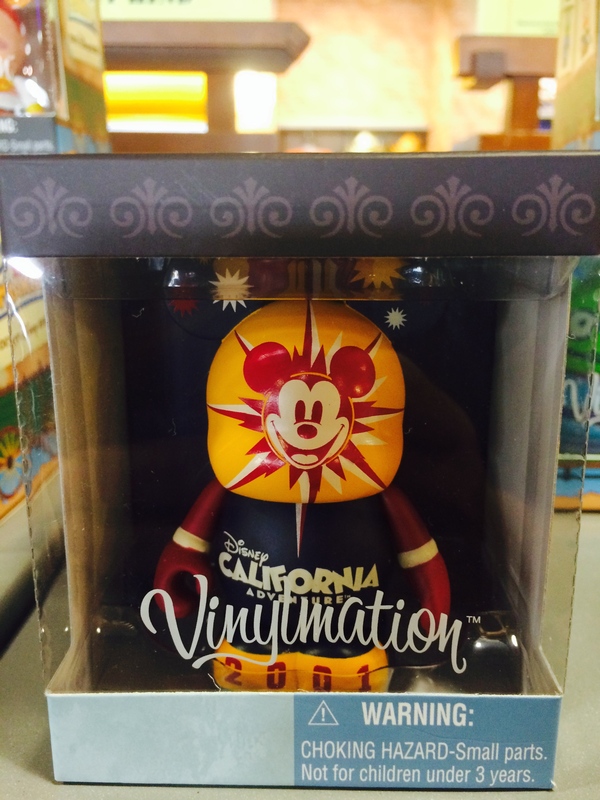 Also: I will never, ever understand why Disney has Duffy or Vinylmation. A company rich with characters creates a bear with no ties or backstory whatsoever and then wonders why it doesn’t sell. And what were they all smoking when they approved Vinylmation? Thanks again for another excellent blog! 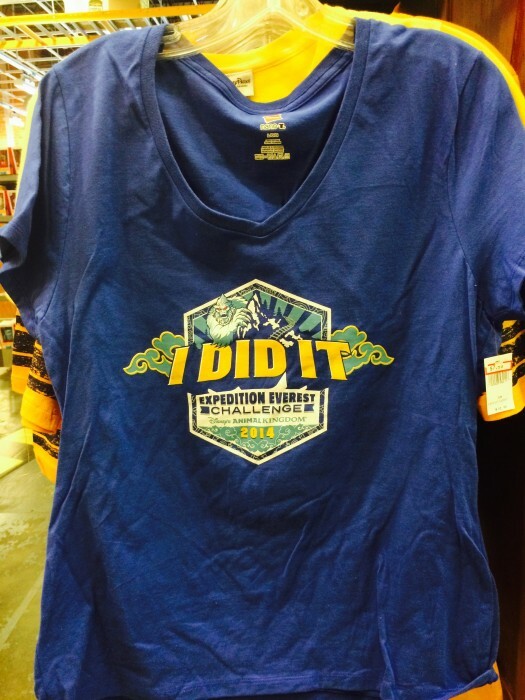 She doesn’t know it was from the Outlet store…. Beach Duffy?!! That’s even a new one on me! 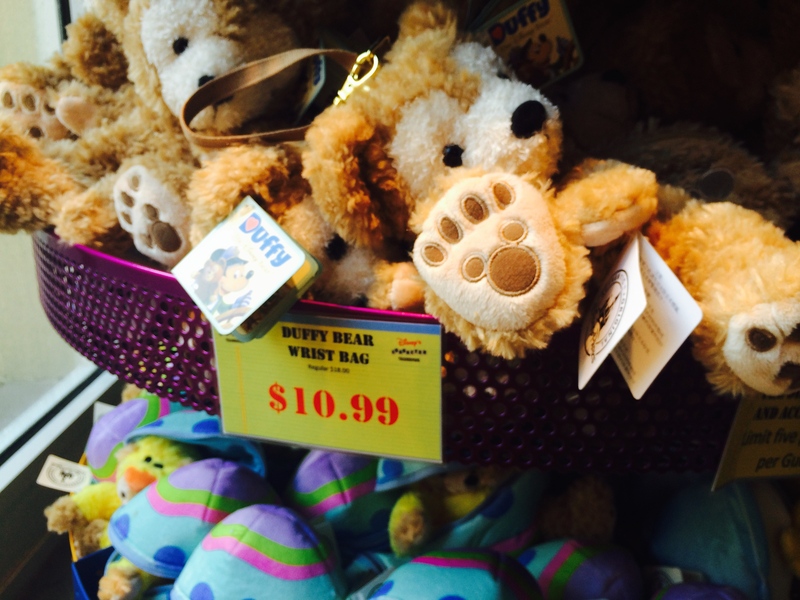 There was actually a fifth, top-secret, Duffy item. One of which I purchased for The Powers That Be. 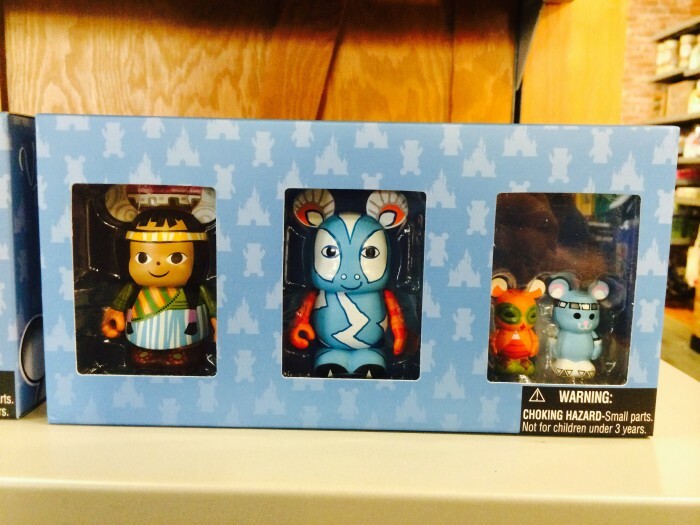 Which Disney outlet were these items at? Holly, at the end of every Outlet article I say where the items are from and give the address for the stores. I love these posts- thanks so much! 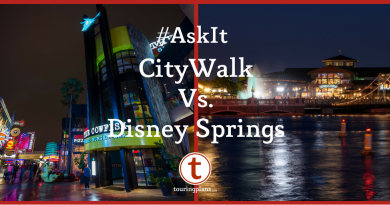 wish I lived near Orlando to visit these outlets 🙂 your commentary is so funny and so true! The bags were a really good deal for that price. Great quality. I can’t believe you broke down and purchased Vinylmation. Maybe you’ve been in the monkey house too long. 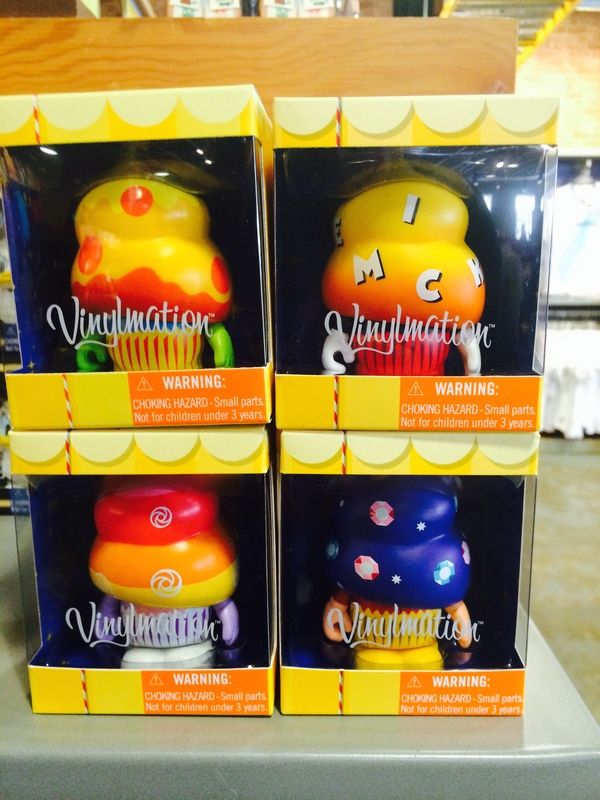 As for the Vinylmation that was “presented without commentary,” what in the world were those things supposed to be, mushrooms from Alice in Wonderland? On second glance they reminded me of cupcakes, perhaps themed for different rides? 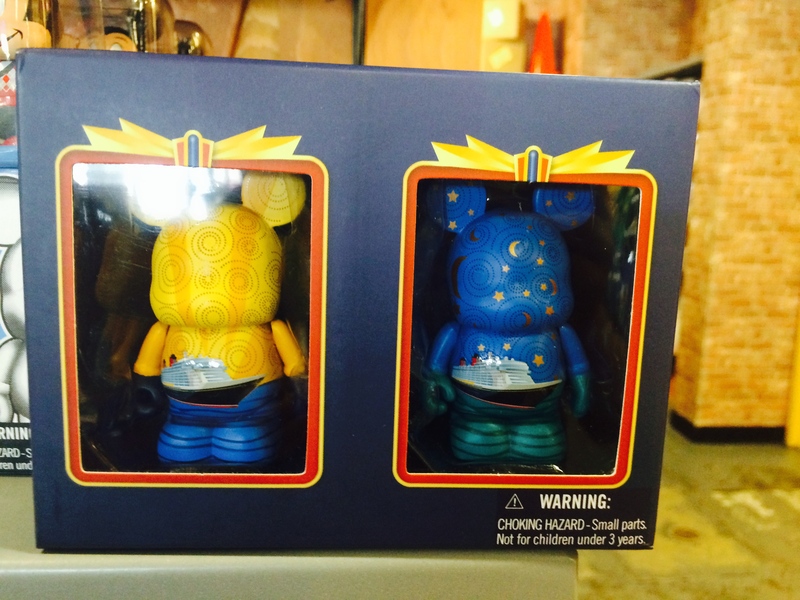 I noticed jewels on one that may have been referencing the Seven Dwarfs Mine Train. They are mysterious and at the same time ridiculous. It’s a surreal cupcake line. Where is this outlet located?